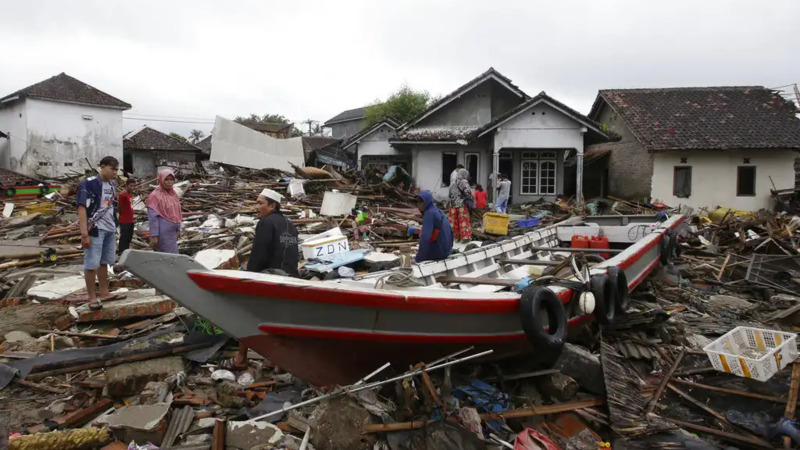 It proved to be a false alarm, but a similar frenzy broke out in Tanjung Lesung, another tsunami-stricken area located hours away, as unsettled survivors of the disaster remained traumatised by a tragedy that killed more than 420 people and left thousands homeless. 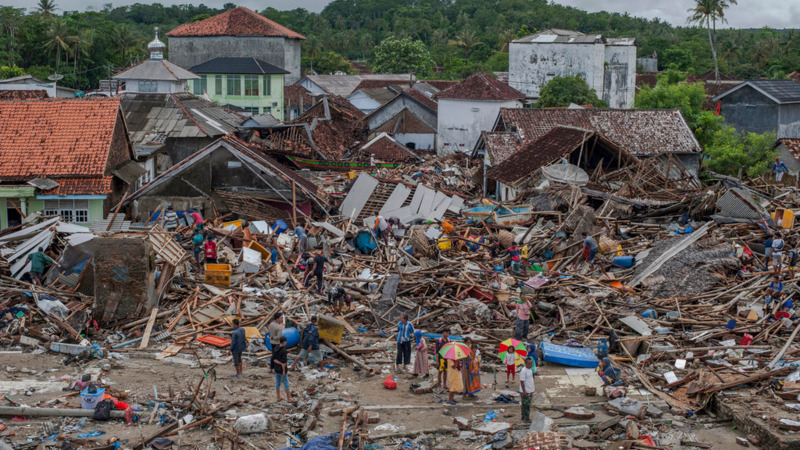 People in Sumur village, which has been slow to receive aid due to roads being cut off, remained stunned by how quickly the tsunami hit. The beach, located just a few kilometres from the tourist island of Umang near Java's western tip, is popular for snorkelling and other water activities. 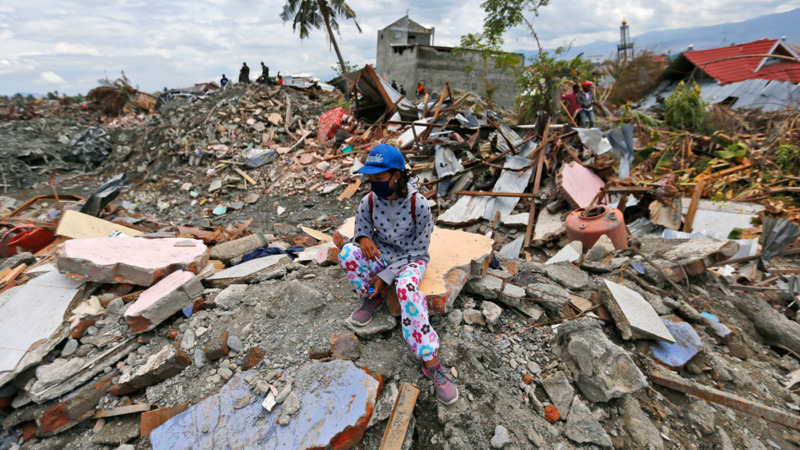 The tsunami decimated the area, ripping houses from their foundations and bulldozing concrete buildings. 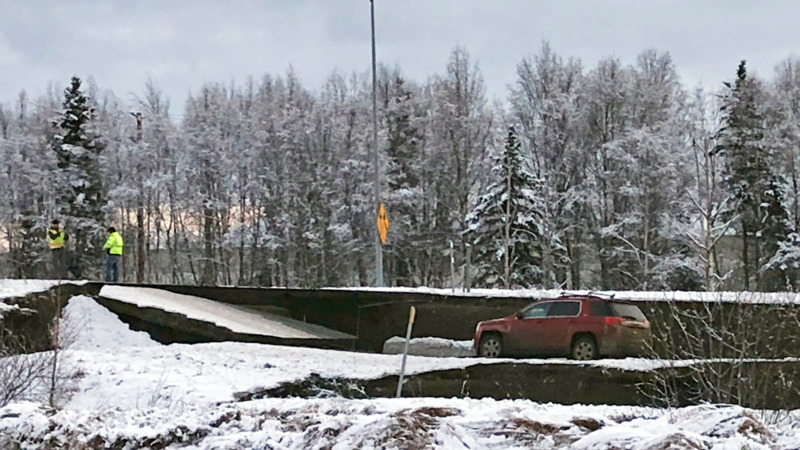 Scientists have said the tsunami's waves were recorded in several places at about 1 metre (3.3 feet) high, but residents of Sumur insisted they towered more than 3 meters (10 feet) there. They said a soaring white wall of water roared toward them at high speeds, ripping trees out of the ground by their roots.